Processing Charges : Bank Draft of Rs.100 is to be pay in favor of “National Institute of Hydrology, Roorkee” payable at SBI Branch of IIT, Roorkee.Candidate has to mention name and post name on its backside. SC/ ST/ PH candidates are not required to pay any fee. Process to Apply : The Application is to be submitted to the Senior Administrative Officer, National Institute of Hydrology, Jal Vigyan Bhawan, Roorkee-247667, (Uttrakhand) in between 08/09/2016. 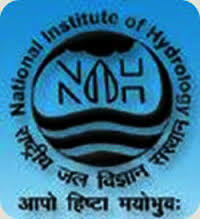 Please http://nihroorkee.gov.in/jobs.html and collect detail information.